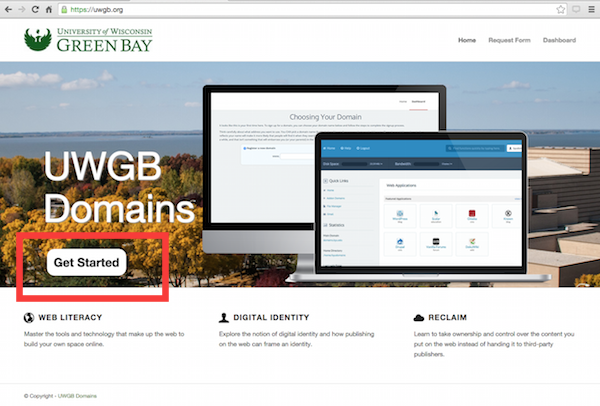 This document will go through the steps for how to claim a domain via UWGB.org. 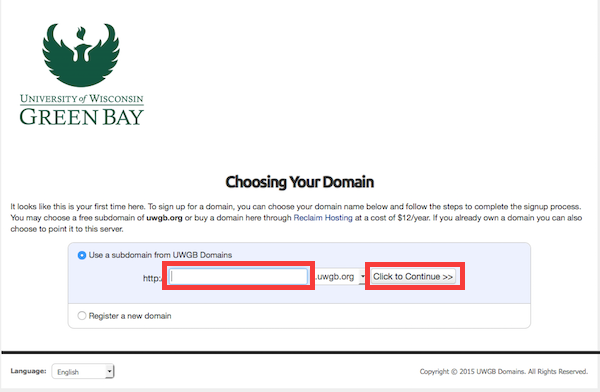 You have probably landed on this page because you are in one of the classes that is utilizing UWGB Domains this semester, but even if you're not in one of those classes, you can sign up here for your own domain and use these resources to help you build your own sites. You may wish to include your name in your domain because its a way for you to build your own digital presence. Don't use a course title as your domain--You can create a subdomain or a series of pages specific to the course. Choose to "I'm here to claim a domain"
Click the "Get Started" Button to log in. Next, you will be asked if you'd like to sign up with the free subdomain (default) or if you'd like to register your own domain for $15/year. Once you "Click to Continue>>" you will be given a Review and Checkout Invoice, where you can select Order Now. 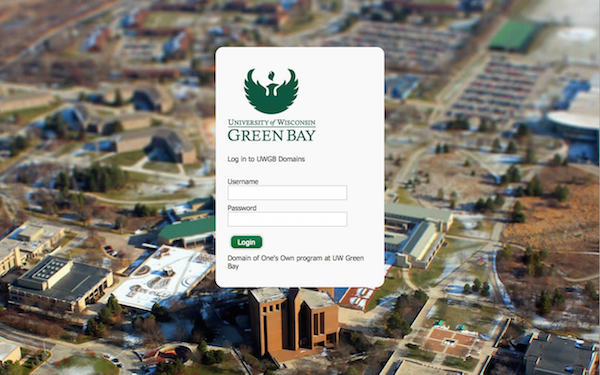 This form auto-fills with your UWGB username, and the University's contact information. 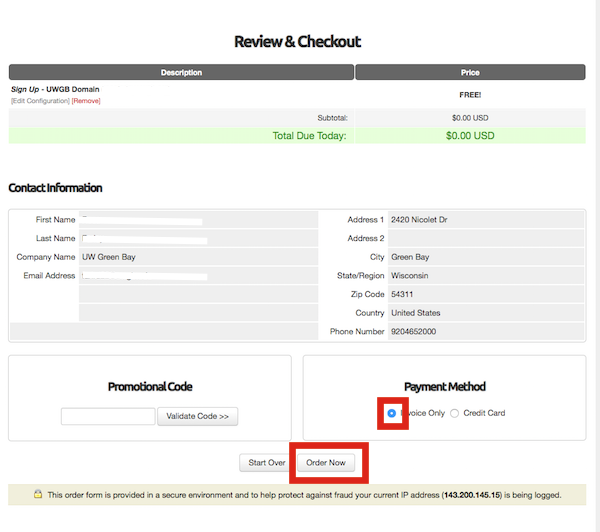 Leave the radial button as "Invoice Only," and click "Order Now." 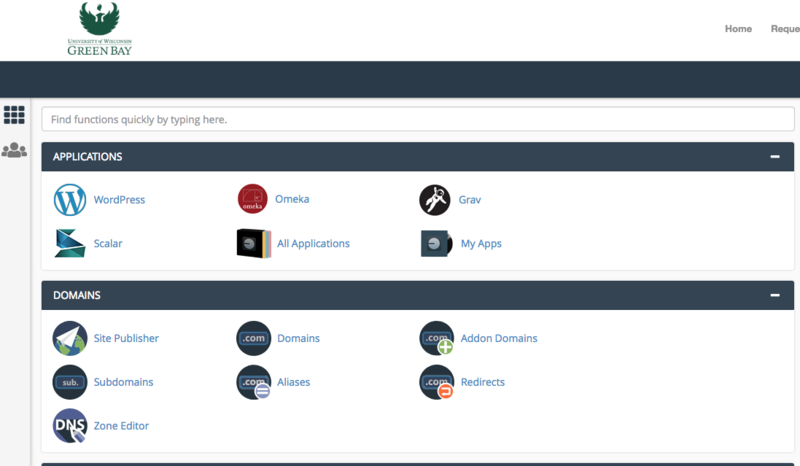 Once you click Order Now, this next step will create your cPanel, which is where you will be installing your web applications. 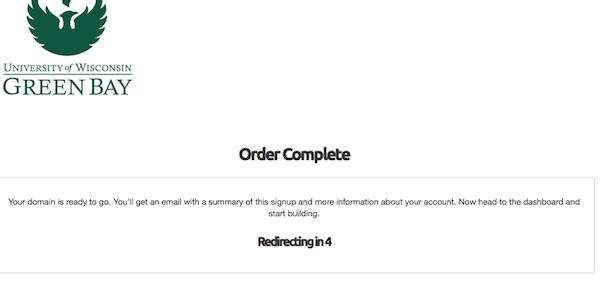 After the order is complete, the page will refresh to your Control Panel (cPanel). At this point you can either decide to use your File Manager to host files that you write yourself, or use a content management system like WordPress, or Omeka. If you decide to use WordPress as your content management system, you can use these instructions to install the application using the "Installatron"